Yes, the iOS 7 jailbreak is here, but you need to follow our jailbreak guide. The jailbreak procedure requires an terminal application. To jailbreak your iPhone 4 you need to have certain technical skills. Note: The iOS 7.1.2 jailbreak is tethered, you need to reconnect your phone to the pc after every restart! 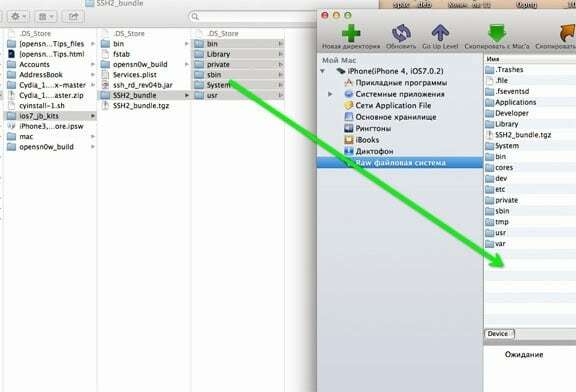 iOS 7 / 7.1.2 jailbreak uses an OpenSn0w exploit, allowing open access to the iPhone 4. Due to having some errors, hackers do not plan to release this exploit to the public. However, if you follow some jailbreak forums, you can found these iOS 7.1.2 jailbreak instructions. A MAC computer with OSX 10.8 operating system. iPhone 4 running iOS 7 – 7.1.2. Usb Cable to connect the device to your computer. 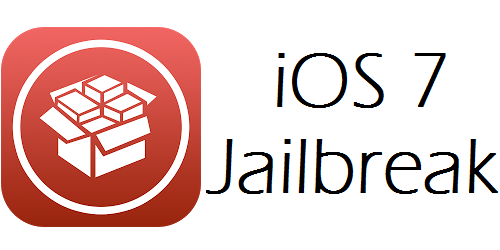 Step 1: Download the required iOS 7.1.2 jailbreak files from this link. 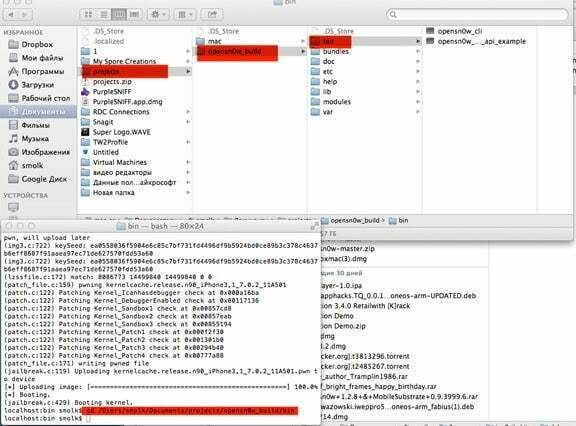 Step 2: In the Finder, open the folder that contains the jailbreak files, then the folder opensn0w_build -> bin. Launch Terminal, write cd and move the bin folder on the Terminal window. Press ‘Enter’ to confirm the command. Step 4: Turn the iPhone into a DFU mode – hold the lock button for 3 seconds, without releasing the lock button, press and hold the Home button for 10 seconds, while holding the Home button, release the lock. Continue to hold the button for 30 seconds. Step 5: Start the program ssh_rd_rev04b.jar. Connect your iPhone to computer a(in DFU mode). Step 6: Once you will see an apple logo on your iPhone, go back to the Terminal and connect to the device via SSH (alpine password). Step 8: Transfer all files from the folder SSH2_bundle in the root folder. 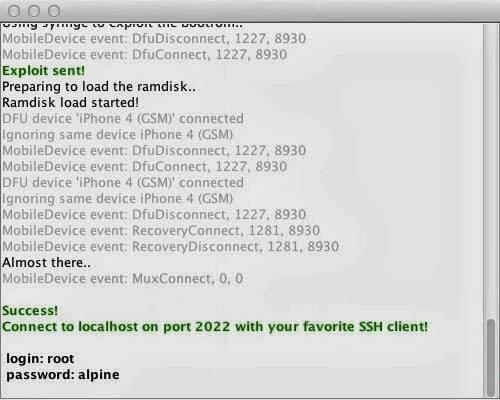 Step 9: Connect to your iPhone via SSH with the following command ssh root@192.168.1.10-p 22 (IP address can be found in the settings of your iPhone). Step 10: The iPhone will reboot. Put it in tethered mode (see Step 3). Did you were able to Jailbreak your iPhone 4 running iOS 7.1.2?